The E-7 fleet will replace the current Sentry aircraft and ensure the continued delivery of the UK’s Airborne Early Warning and Control (AEW&C) capability. 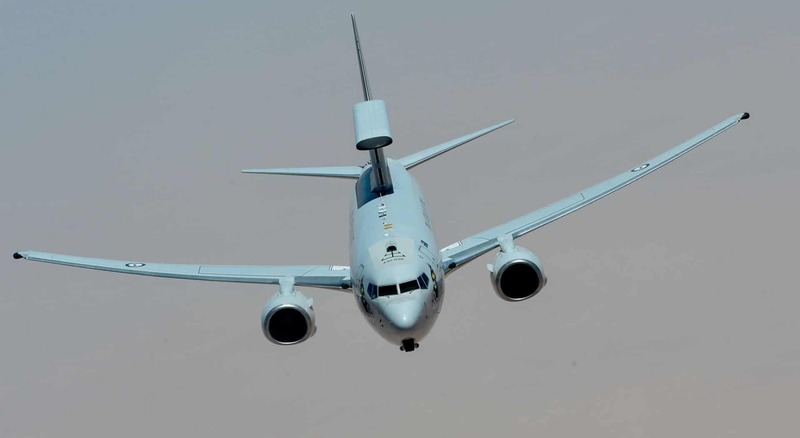 Named “Wedgetail” by the Australian Department for Defence, the E-7 aircraft can fly for long periods of time and manage the battlespace from the sky. Defence Secretary Gavin Williamson said: “The E-7 provides a technological edge in an increasingly complex battlespace, allowing our ships and aircraft to track and target adversaries more effectively than ever. This deal also strengthens our vital military partnership with Australia. Chief of the Air Staff, Air Chief Marshal Sir Stephen Hillier, said: “Today’s announcement about the procurement of five E-7 ‘Wedgetail’ Airborne Early Warning and Control aircraft is excellent news for both the RAF and wider Defence. This world-class capability, already proven with our Royal Australian Air Force partners, will significantly enhance our ability to deliver decisive airborne command and control and builds on the reputation of our E3D Sentry Force. The E-7 is based on a standard Boeing 737 NG airliner modified to carry a sophisticated Northrop Grumman active electronically-scanned radar. This can cover four million square kilometres over a 10-hour period. Modification of the aircraft will be carried out in the UK, sustaining over 200 highly skilled jobs at Marshall Aerospace and Defence Group in Cambridge, and there will also be opportunities for British suppliers to be involved in future training and support arrangements.